2010 February « GASTHAUS: got 'kraut? 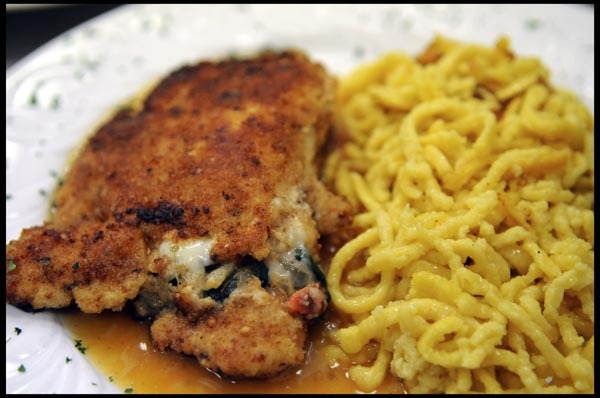 Our special is Chicken Breast filled with fresh Spinach, Tomatoes, Onions, Garlic and Swiss Cheese, a Parmesan Oregano Bread Crust on a Tomato, Oregano sauce served with Spatzle. We also still have our popular Sauerkraut Soup and Wilted Spinach Salad. We will be open for regular business hours tonight! For reservations please call 502-899-7177. Dear friends of the Gasthaus. We are closed today, Tuesday, due to the weather until further notice. Sauerkraut Soup and Linzer Torte are back!!! I just received word that Annemarie is baking Linzer Torte for tonight!! 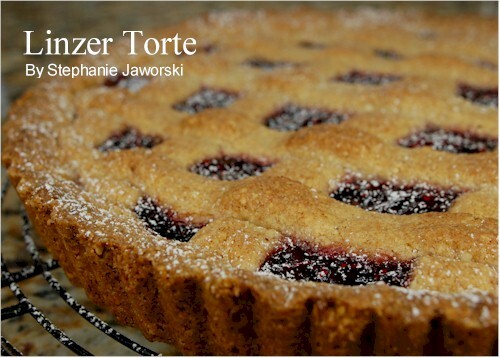 For those of you who know what Linzer Torte is, it will be a treat to come in and have a slice. For those of you who don’t know our Linzer Torte, well, you should come in and have a slice! It’s a perfect combination of a firm, nutty crust filled with raspberry jam. You will not want to miss this. We also have Sauerkraut Soup tonight! We know how much you’ve liked that soup. And besides, Sauerkraut has a lot of Vitamin C and we all like food with health benefits.